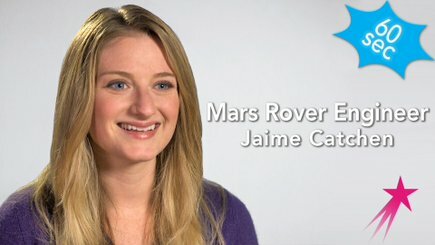 60 Seconds With a Mars Rover Engineer: Jaime Catchen – Ruth Catchen Reach for the Stars! Inspire! Encourage young women to dare to dream! Empower girls to become explorers! There are more videos HERE.